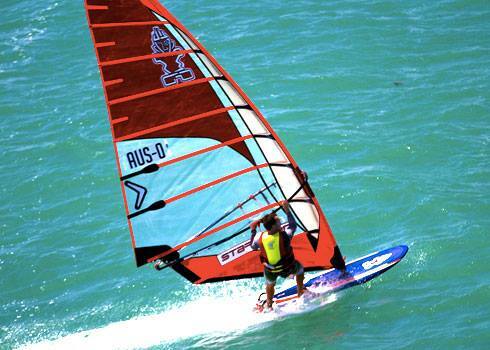 Steven Allen successfully defended his title at the Lancelin Ocean Classiz winning the 29th edition of the Australian windsurfing marathon. The race featured 118 athletes competing in 15-20 knots of wind from Ledge Point to Lancelin covering 25 kilometers down wind. 10 time World Champion Steven Allen won after despite a false start, and finishing in a time of 29 minutes and 59 seconds, only 13 seconds ahead of Isaac Devries in second. Check out the Le-Mans style start as the competitors rush towards the water above.